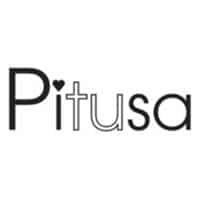 Pitusa.com is an online fashion company. The company primarily deals in beachwear for women. It also sells dresses, kaftans, jumpsuits and tops among others. There are special kids’ collections, onesies, accessories and gift cards. The brand is known for selling quality apparel but at affordable prices. The comfortable dresses, tops and bottoms often have markdowns in the sale section. All domestic orders worth more than $50 are shipped for free. There is a $10 economy shipping fee for EU orders. The company routinely rolls out new collections including seasonal specials and trending styles. Shoppers can create a store account to earn rewards.